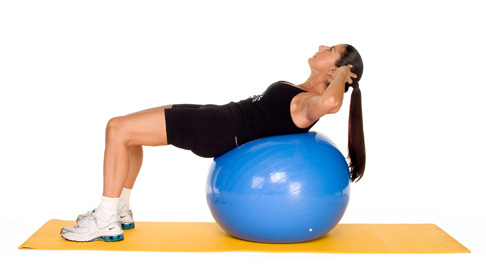 Start by resting on the ball, from the shoulder blades to the lumbar area. Hold the sides of your head with the tips of your fingers. Raise the trunk a few inches, feeling the abdominals contract. Repeat 10-20 times.